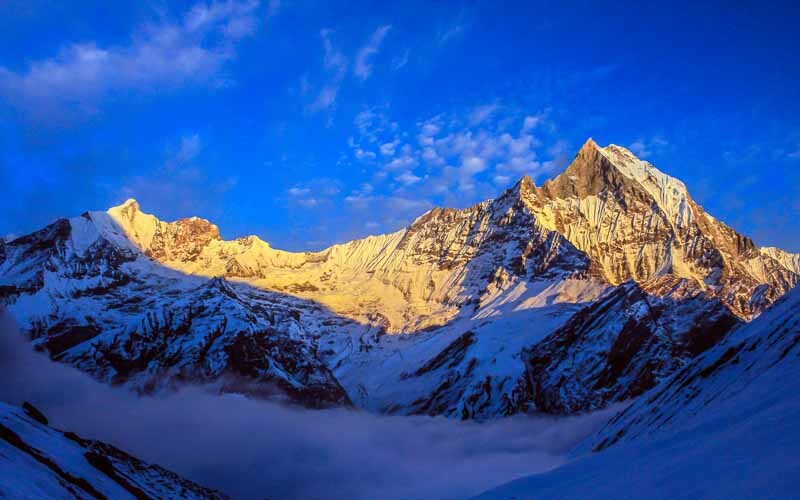 Nepal is a all year round destination as the country has a wide range of climatic diversity. 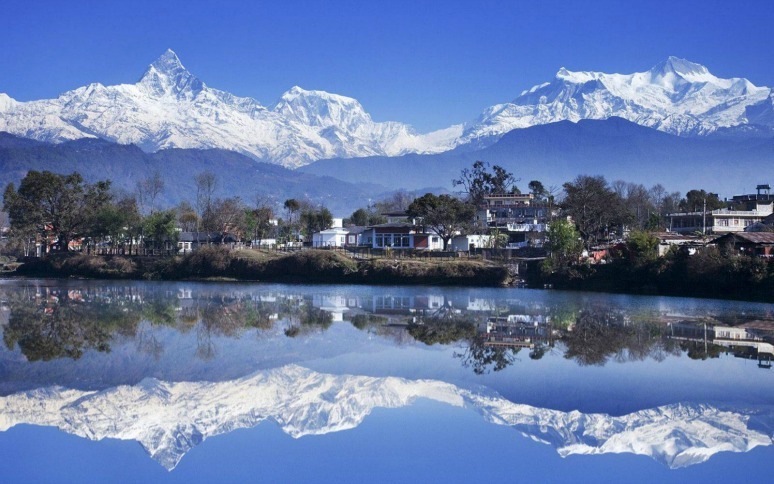 Nepal offers you a variety of climates in its tiny territory. From the sweltering heat of Terai Plains to freezing cold of the Himalayas and the pleasant temperate weather of hills and valleys. Your trek depends on the plans for your trip and what you wish to do. 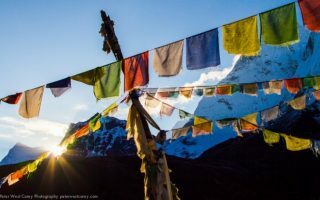 And depending on where you choose to go you can decide the best season for your travel to Nepal. 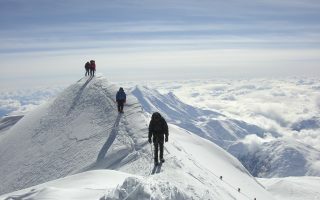 The best season to visit Nepal is subjective and depends on your choice of activities in Nepal. There are four seasons in Nepal: Spring (March-May), Summer (June-August), Autumn (Late September-November), and Winter (December-February). You can plan your visit after a brief study on the different seasons of Nepal. The season when the birds sing and the flowers blossom. Spring indeed is the most beautiful season when the nature opens its wings and dances. 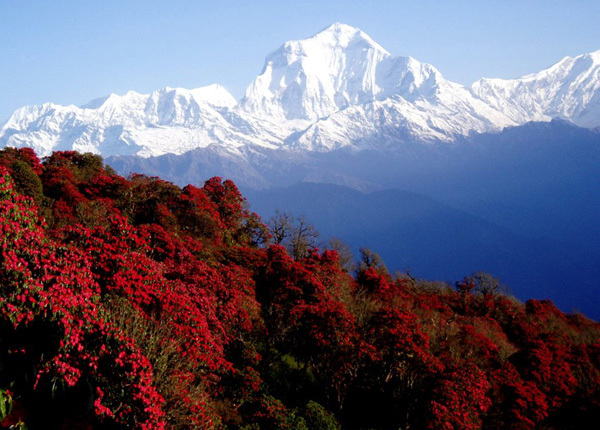 The hills of Nepal blankets in the shades of blossomed rhododendron. The wild birds and animals come out to relish the blissful spring. This is the best time to view wildlife in Terai. 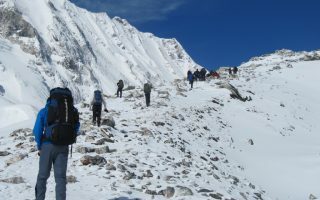 Spring marks the second best season for trekking in Nepal. The joyful temperature and the beautiful nature make the trekking in the hills a joyful experience. The downside of the spring is that sometimes cloud can obscure the mountain views from lower elevations. Monsoon is the much awaited season in Nepal with the majority of the population involved in agriculture. The season is best for planting rice and celebrating national paddy day. It is a great scene in the Nepalese farms as the farmers sing, play and work together as they plant paddy seedlings. This may be a great season if you are planning to enjoy the rainy days in the Nepalese farms. Travelling in the country may be disturbing due to cloudy ski landslides, which is common during the period. But with proper preparation and guts you can choose this month for trekking as well. But, the region like Mustang and Simikot are still good for trekking during this time. Because the region falls in Rain shadow area and do not receive the monsoon rain. The Nepali winter sees high pressure bringing clear skies and dry weather. The nights can be freezing cold as the temperature falls low after the sunset. Snow fall is common in the Himalayan and upper hilly region of the country. This is the best time to enjoy the much-talked about the solitude of the Himalayan trails. And, revel in the natural beauty for miles and miles with few souls around to disturb your reverie. But, many of the High passes like Thorung La and Laurabina remain closed during the peak winter season. Check the details of the place before you plan winter treks. Terai may be a great destination to visit to avoid the extreme winters of the Himalayas and hills. The Chitwan and Bardia National Parks in Terai host variety of migratory birds during winter. This is the best time for bird watching. This season is the best season to travel to Nepal. 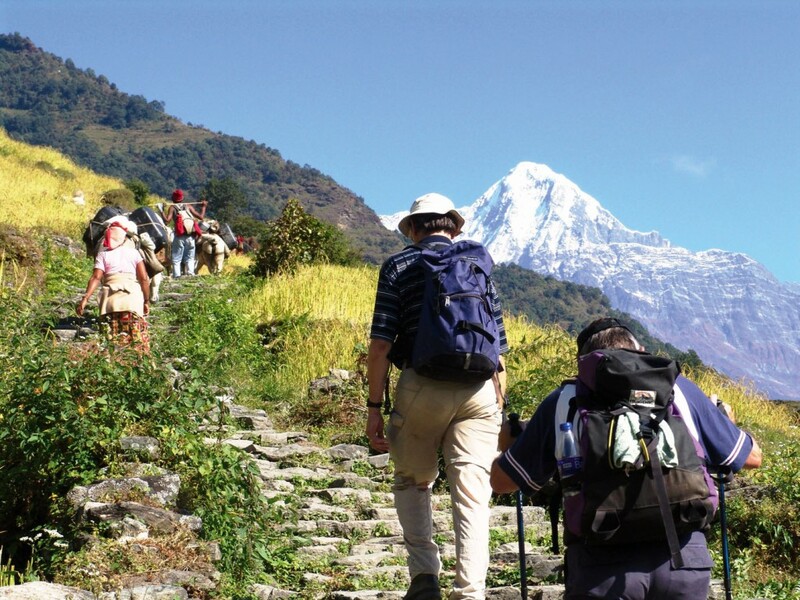 Most of the travelers to Nepal do not want to miss the much admired trekking and mountain views. And autumn is the time for these. The Post Monsoon season brings a stable high pressure, giving clear skies, sunshine, warm days and cool nights. The clear skies are great for viewing the beauty of the magnificent mountains. Thousands of people seek best mountain visibility during Autumn. So, they hit the trails in the famous Everest and Annapurna regions. Because of heavy inflow of tourists the hotel price peaks during the period. You can take wonderful photographs of the mountains during this season. Autumn is also a great time to visit Terai as the temperature is still cooler. This is also a festive season in the country with some of the major festivals in Nepal like Dashain, Tihar and Chhath falling in this period. Each of Nepal’s climatic seasons offers something different. It is up to you to decide which one is the best for you depending on the aim the visit. When do you plan to visit the beautiful country of Nepal? Share your experiences of visiting Nepal in the comments below. We love to hear from you.